An in-depth introduction to Reformed, Presbyterian theology and ministry. We’ll cover topics such as ecclesiology, worship, covenant theology, sacraments and the role of the law, particularly considering the importance of these topics for church ministry. What does Christian ministry involve? What is distinctive about Presbyterian churches? Might ministry in a Presbyterian church be appropriate for me in the future? 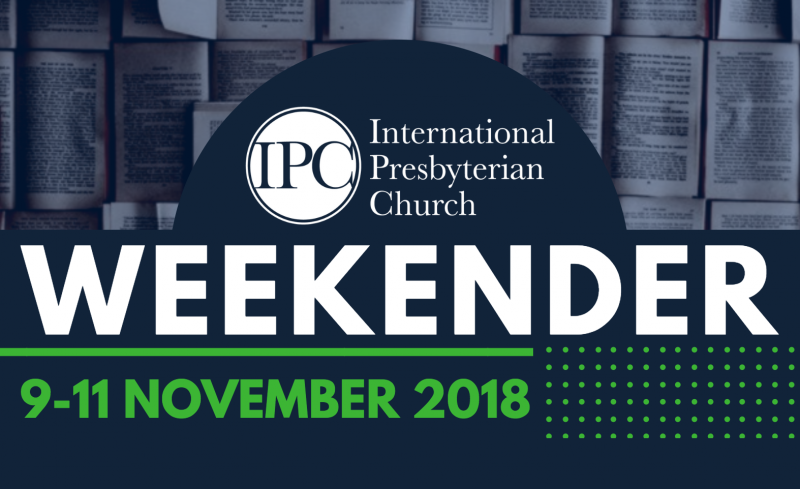 The IPC Weekender is intended as a chance for those thinking about full-time ministry to come and explore these questions, particularly in relation to the IPC. Whether in a ministry role already, at college or just thinking about ministry in the future, come and explore the Presbyterian option with two IPC ministers and church planters. The Weekender is especially aimed at those considering full-time ministry, whether currently linked with the IPC or not. The 2019 Weekender venue is yet to be confirmed. The 2019 Weekender dates are yet to be confirmed. £15, including Lunch and Dinner on Saturday. What is Presbyterianism? Where does it come from historically? What are the roots, aims and ethos of the IPC? Ecclesiology – Does it really matter? What is the biblical doctrine of the church? What does the Bible have to say about church government? Does the bible teach the primacy of the local church? What is the function of elders and deacons? What are the keys of the kingdom? What is the role of presbytery? What does presbytery look like in the IPC? Covenant Theology – What is it and how does it shape ministry? What is covenant theology? How does it affect the doctrine of the church, including the place of children? What is the place of the Mosaic covenant and law? How does this affect ministry and church growth? The Means of Grace – A Reformed approach to ministry? What are the means of grace? What is a Reformed understanding of ministry? What is distinctive about a Reformed understanding of the purpose and significance of sacraments? What is distinctive about a Reformed understanding of preaching? Is preaching different from teaching the Bible? What is ordination? Worship – Is there anything special about Sunday morning? What is distinctive about Reformed worship? Is Sunday worship different from all of life? What is the regulative principle and what does it contrast with? What are the elements of a worship service? Does it matter who leads a service or just who preaches?